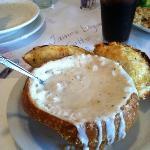 Description: Voted best clam chowder for many years! Enjoy fresh sustainable seafood at affordable prices. A local favorite and a must for visitors. Two blocks up from the Montetey Bay Aquarium. Family friendly with a children's menu. 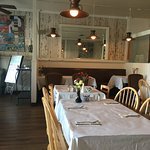 Enjoy local seafood, pasta, burgers, soups, salad and house made desserts! 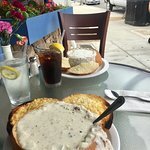 This is a little quaint kinda place, you park on street and we found it to be quiet and we both ordered clam chowder in a bread bowl and had the garlic cheese lid that we paid extra for and it was well worth it! Service was great! Would go back again if we ever get back that way! Best chowder ever, and I like my chowder! From the friendly greeting at the front door to the house-made pumpkin cheesecake, this place is a winner. I opted for a bowl of chowder and an order of garlic cheese bread while my wife chose the chicken piccata. We were both happily surprised! 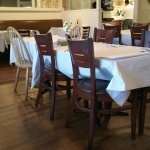 Cozy atmosphere, capable and friendly servers, and comfort food that was way above the norm. These people are justifiably proud of their establishment. We'll be back! 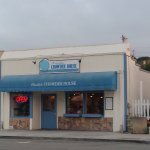 Pay attention to the name of this restaurant -- "Chowder House" and order accordingly. 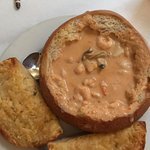 The chowder is excellent! If you have room (or extra people in your party), try the fish & chips next. This place is small, so it will fill up quickly -- the secret is out and it is a place people come to over and over. Enjoy! Known for their chowder - this restaurant also does great seafood salads and fried calamari. The kids menu is perfect and kids are met at the table with their own kids placemat/menu and crayons. 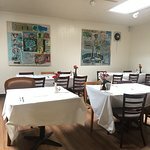 Located in Pacific Grove - just a few blocks from the Aquarium. We shared a plate of calamari for the table to start our meals - good choice. Calamari is crisp, flavorful and not greasy. Prices and service are also good. 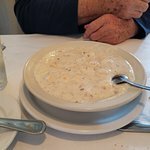 My hubby and I were looking forward to some good New England style clam chowder while passing through Monterey. 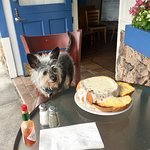 BUT... we needed a dog friendly restaurant. Vivolo's luckily has one table outside with two chairs, which was perfect for my husband and I and the 2 pups. 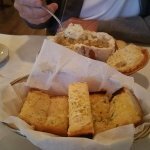 We both ordered the New England clam chowder in the sourdough bowl; one with the garlic cheese bread top. The chowder was nice and thick and creamy but it did taste just a tad bit fishy/clammy for our taste. But not so much that it spoiled the soup for us. We still greatly enjoyed the chowder. The sourdough bread bowls were nice and crispy on the outside but soft on the inside, which made it easy to scoop up the bread while you ate the soup with your spoon. The garlic cheese bread top was buttery and tasty l, but just a bit burnt around the edges. One thing I didn't like was the ground pepper on my soup. Their grinder must have be broken because it only cut the peppercorns in half which left huge chunks in my soup that I had to scoop out. Service was friendly and with a smile. 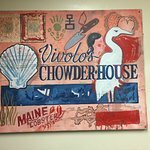 We can definitely recommend Vivolo's for a chowder stop and would definitely return when in the area again. 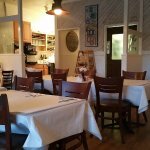 Been to Vivolo's Chowder House? Share your experiences!